Our Jupiter Personal Injury Lawyers have represented hundreds of people that have been injured in both Jupiter, Florida and throughout the state by no fault of their own. Our lawyers are available by appointment to meet with you at our Jupiter office, your home, the hospital or at a location that is most convenient for you. We are committed to taking immediate action on your case. If you have been injured please call 888-Say-Dell for a free phone consultation or Contact Us now and one of our personal injury lawyers will respond immediately. In 95% of the Jupiter, Florida accident cases that we handle our accident attorneys can tell you within a matter of minutes whether you have case. The best way to know if you have a case is to call us for a free phone consultation. Whether you are a Jupiter resident or were injured in Jupiter, our attorneys are available to discuss your recent accident. 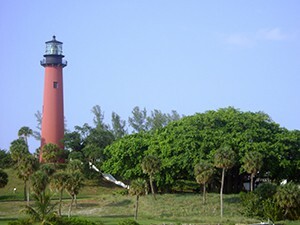 The town of Jupiter, Florida is located in Palm Beach County. Unlike its large eponymous planet, Jupiter consists of only 21 square miles of well preserved land. The town has a population of over 50,000 residents, many of whom commute to West Palm Beach and other neighboring cities for work. This large volume of drivers often causes slowdowns and traffic accidents on the busy roads, including Interstate 95 which cuts through the western part of Jupiter. In 2008 alone, there were 110 crashes which led to 125 fatalities on the Palm Beach portion of I-95 alone. Additionally, due to the temperate climate and coast line, Jupiter provides its residence with an active lifestyle, which include water sports, swimming, motorcycling, bicycling and other outdoor activities. At times, these activities can become dangerous and unfortunately, accidents do occur. As such, there are many hospitals to serve the population, including Jupiter Medical Center and Good Samaritan Medical Center.